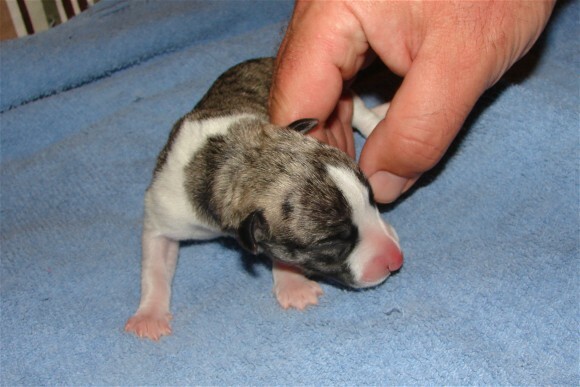 After a day of watching, waiting, and about 500 trips out to potty, Duet finally produced her first puppy at 5:12 pm. 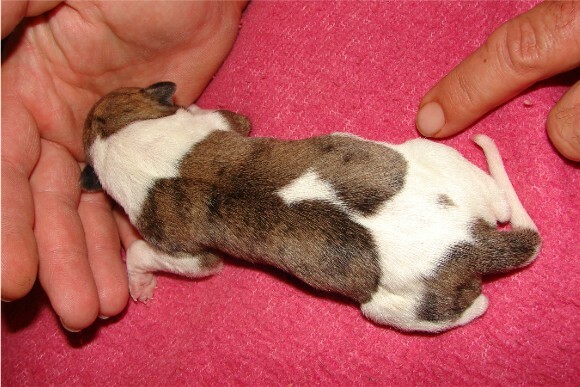 Thankfully, she did so in the place I had prepared, rather than outside. 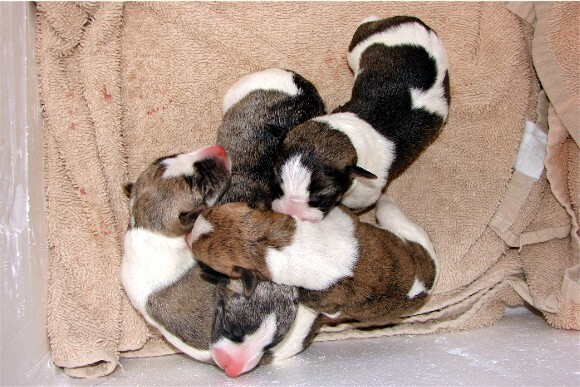 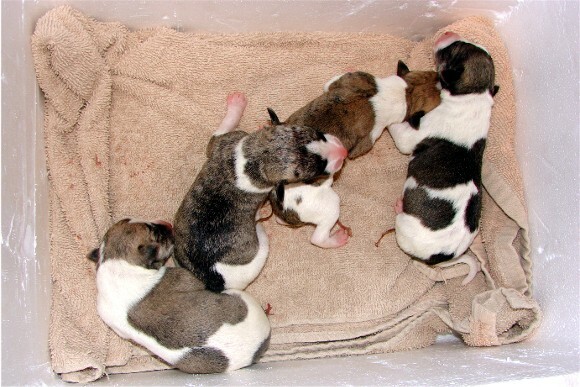 Pup #1, male, born at 5:12 p.m.
Pup #2, boy, born at 5:21 p.m.
Pup #3, girl, born at 5:36 p.m.
Pup #4, girl, born at 5:52 p.m.
A few moments away from mama - so she'll go out. 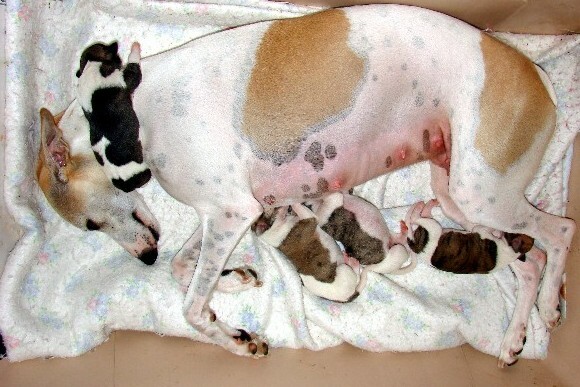 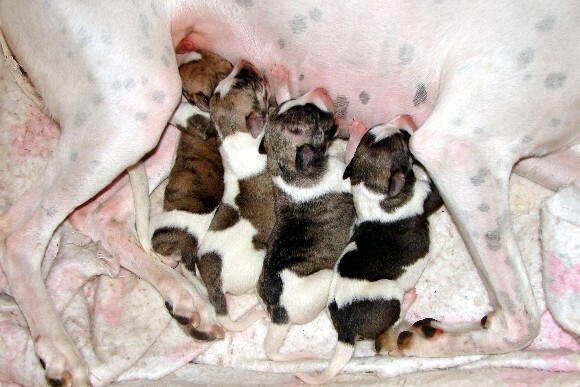 Mama's Milk Bar is open! 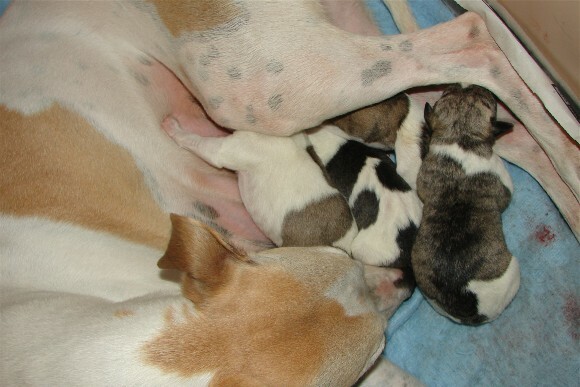 Duet is being a great mama and the four little ones are all vigorous and nursing well. 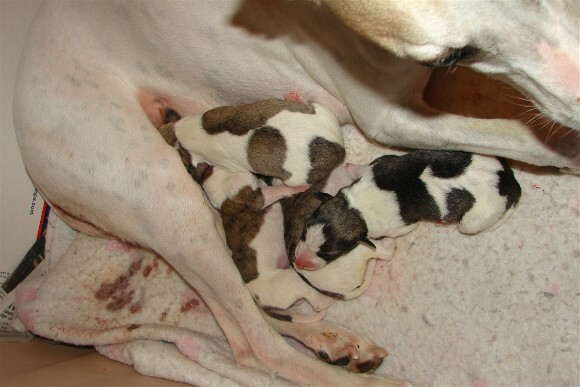 Just a few hours and already their bellies are round and they're doing laps around the bed! 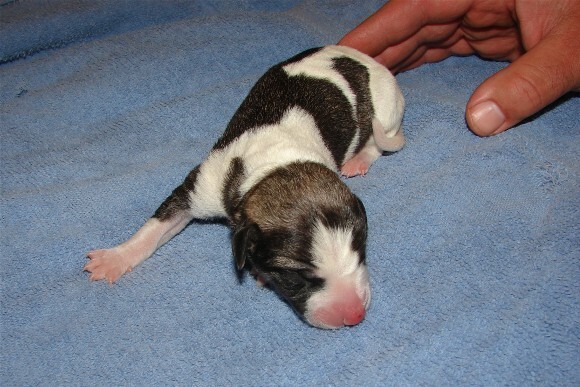 Pup #1 birthwieght: 11.5 oz. 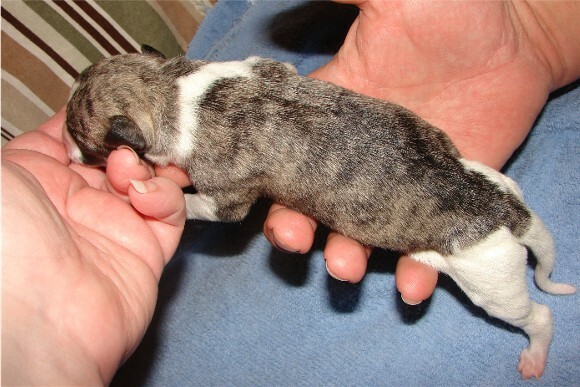 Pup #2 birthweight: 12 oz. 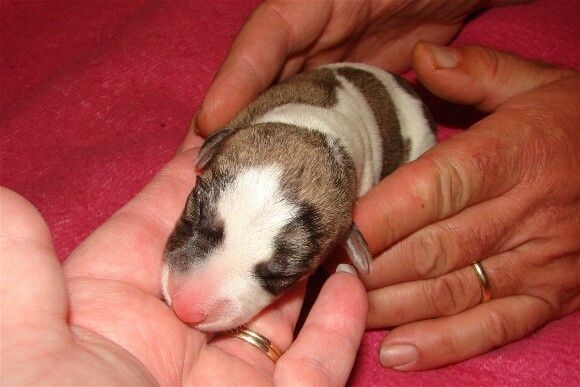 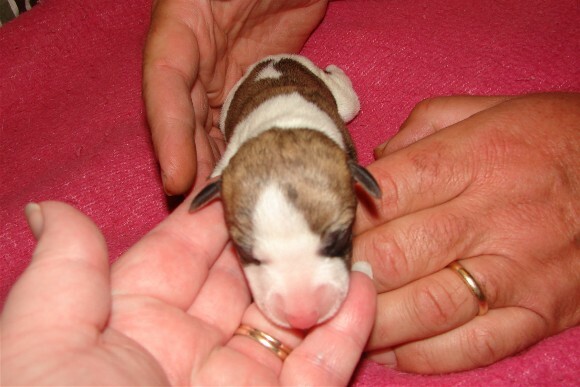 Pup 3 birthweight: 10.5 oz. 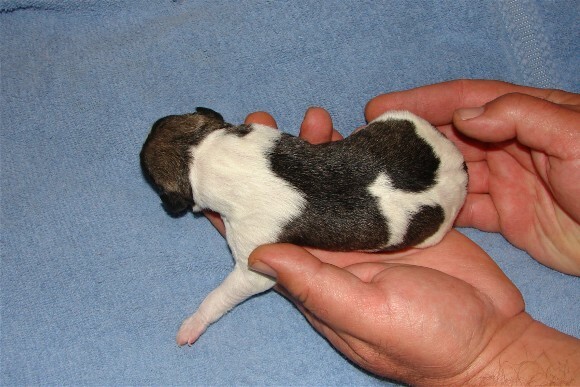 Pup 4 birthweight: 9.5 oz. 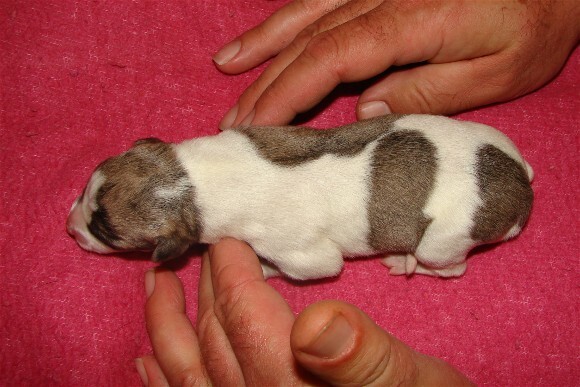 Puppy as a neckwarmer - so precious!